WANTED: Friends of Haven Acres (volunteers, cheerleaders, neighbors, or participants alike)! 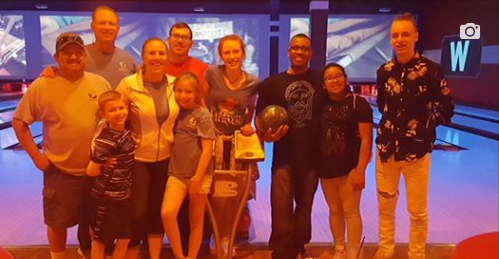 Bowling for Bucks is one of our biggest fundraisers, raising over $5,000 each year! It’s also a valuable way for us to get the word out about Haven Acres as the bowlers will be talking to people that don’t usually hear about Haven Acres. Your support allows kids to come out to Haven Acres for the summer free of charge! This year we will be hosting Bowling for Bucks at Bowlero in Lakeville on April 26th and our goal is to raise $10,000!! Will you consider being a part of this? Before the event, supporters of Haven Acres get to ask their friends and family to sponsor them in their round of bowling. Sponsors can choose to pledge a flat amount or pledge an amount per point. Then we bowl! Pizza and pop are provided for the bowlers and we usually bowl 3 rounds together. We have forms that you can record your pledge amounts on as well! 1. We ask bowlers to set a goal for at least $250. 2. ANYONE can bowl, we just ask that kids under 13 be with an adult. 3. Bowlers are responsible for the cost of their bowling and shoes. Please let us know by April 19th if you’re going to join us! Meet Maximus, Zacchaeus, and Cody! 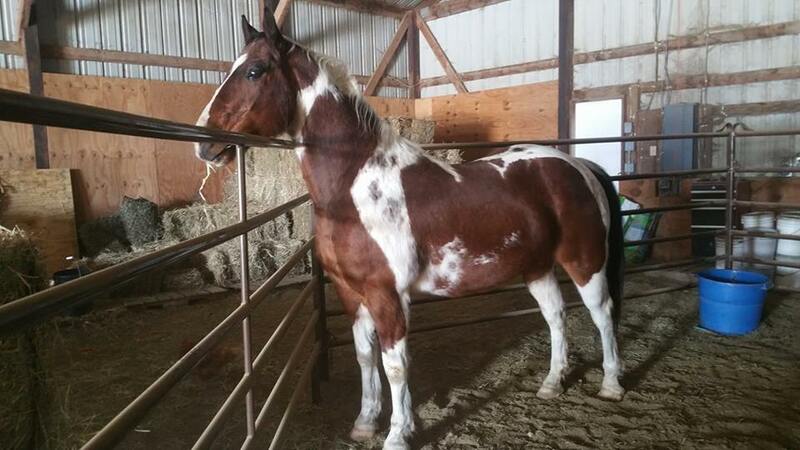 Maximus and Zacchaeus were both donated to us from Ironwood Springs Christian Ranch! 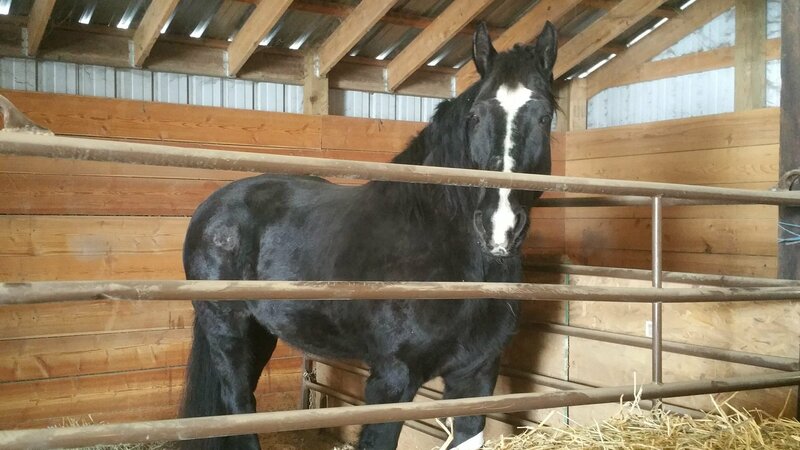 Maximus is a Percheron gelding who has a bad injury to his leg in the fall but he’s making a great recovery and we’re so excited to have our first draft! 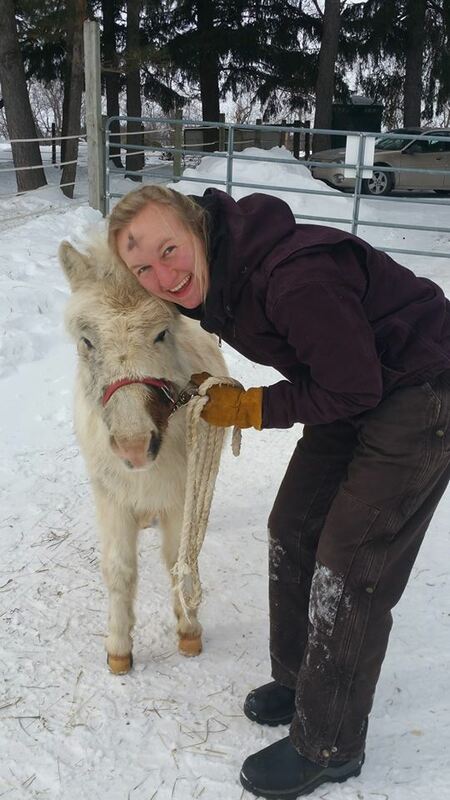 Zacchaeus is a mini mule (or our wee little mule) who was completely wild in the fall and has now gotten to the point where he’s a little halter broke. 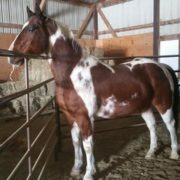 We’re excited to have him and work with him so that he can get loved on by some adoring kids! And then we have Cody! Jenifer’s mom sponsored Cowboy for the last several years, and she wanted to make sure that we continue to have a Paint at Haven Acres. So in honor of Cowboy, the Garrets purchased Cody for our program. He is rather nervous right now, but we are hoping that he settles in and loves his new job. 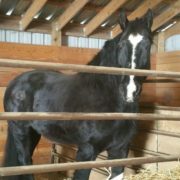 Please pray for him as he is somewhat sore right now and is in serious need of some hoof care. We’re hoping that it is not a long-term problem. 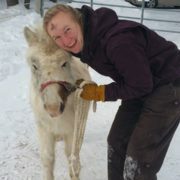 So grateful for some special blessings this year after some really hard days this winter! We are so blown away by your generosity and God’s goodness! With another $1000 donation received yesterday, we soared past our goal and reached $4480! This comes at such an important time as our 4-wheeler and bobcat have broken down in the last few weeks in addition to all of our normal every day expenses. I’m not sure if we’re going to be able to resurrect the 4-wheeler anymore. We may have to retire it. If any of you have any leads on a 4×4 ATV that is in good working condition, please message us since having this particular piece of equipment is crucial to us being able to keep up with the workload outside. Please know that we are SO VERY GRATEFUL for all of the support and love we’ve received from so many of you!